Preventable Tragedy? Chelsea Plowden, Innocent Bystander, Killed in Florence, South Carolina Shooting. Did negligent security contribute to this tragic loss of life and are justice and compensation available to Ms. Plowden’s family? Media outlets indicate that two suspects have been arrested. Convenience store patrons have a right to feel safe and secure while on the premises. 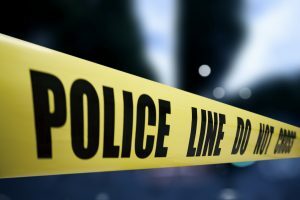 The Murray Law Firm questions the level of security provided at the gas station and whether this tragedy may have been prevented. What security measures, such as bright lighting, monitored surveillance cameras, clear windows, and visible security personnel, were in place to deter crime and protect Ms. Plowden at the time of the shooting? Were authorities called at the time of the initial fight incident? Generally, property owners are required to protect all those legally on the premises from any foreseeable harm. Should the facts of this matter reveal that the gas station owner failed to provide adequate security to protect those on its premises, Chelsea Plowden’s family may seek justice and elect to pursue legal claims for their loss. Based upon its prior successful experience in handling security negligence claims on behalf of victims and their families, The Murray Law Firm suggests that photographs and a thorough, unbiased inspection of the property will need to be performed immediately, before any evidence may be repaired, damaged or destroyed. Given the complexities of pursuing a negligent security case, it is imperative that the Chelsea Plowden’s family retain an experienced attorney who can ensure the preservation of any and all evidence that may support such a claim. Could this tragedy have been prevented and are justice and compensation available to the Armstrong, Ford and Young families? 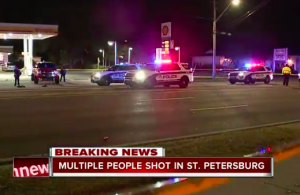 Gunfire erupted outside a St. Petersburg gas station Monday night, January 21, 2019, injuring Carlos Demetrius Young and claiming the lives of Tywan Jeremiah Armstrong and Roger Lee Ford Jr.
What additional security measures, such as bright lighting, visible surveillance cameras and security personnel, were implemented by the gas station owner in preparation of the reportedly “annual but unofficial after-party”? Generally, property owners are required to protect all those legally on the premises from any foreseeable harm. Should the facts of this matter reveal that the gas statio owner failed to provide adequate security to protect those on the premises, the families of Roger Lee Ford Jr. and Tywan Jeremiah Armstrong may seek justice and elect to pursue legal claims for their wrongful deaths. Additionally, Carlos Demetrius Young may pursue claims for his injuries.